The immersive HIFI sound with CSR chip and 40mm built-in horns help you enjoy music to the maximum extent. 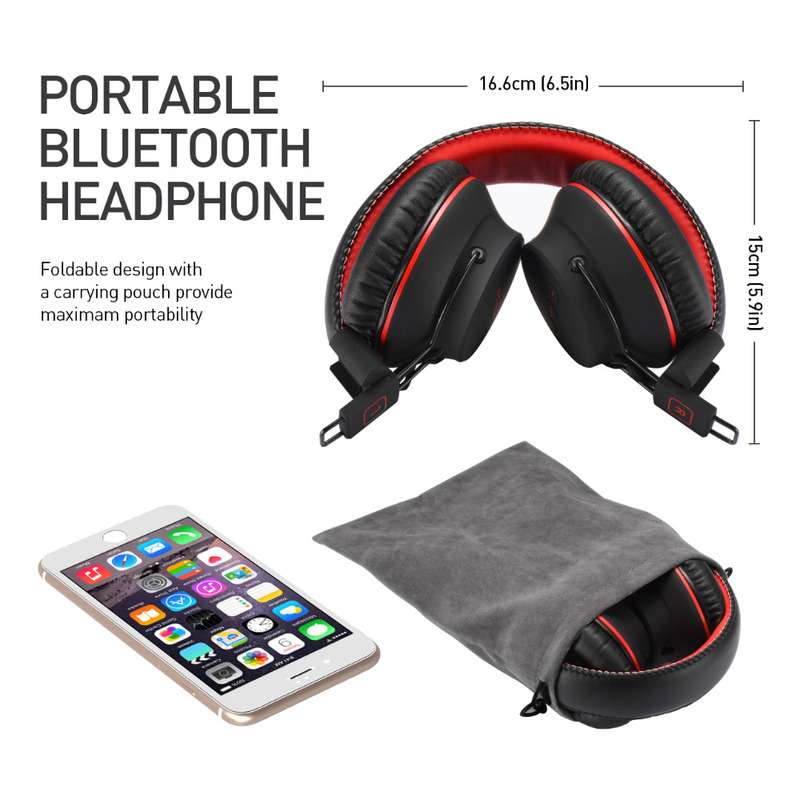 The around ear pads offer you a passive noise isolation music atmosphere. 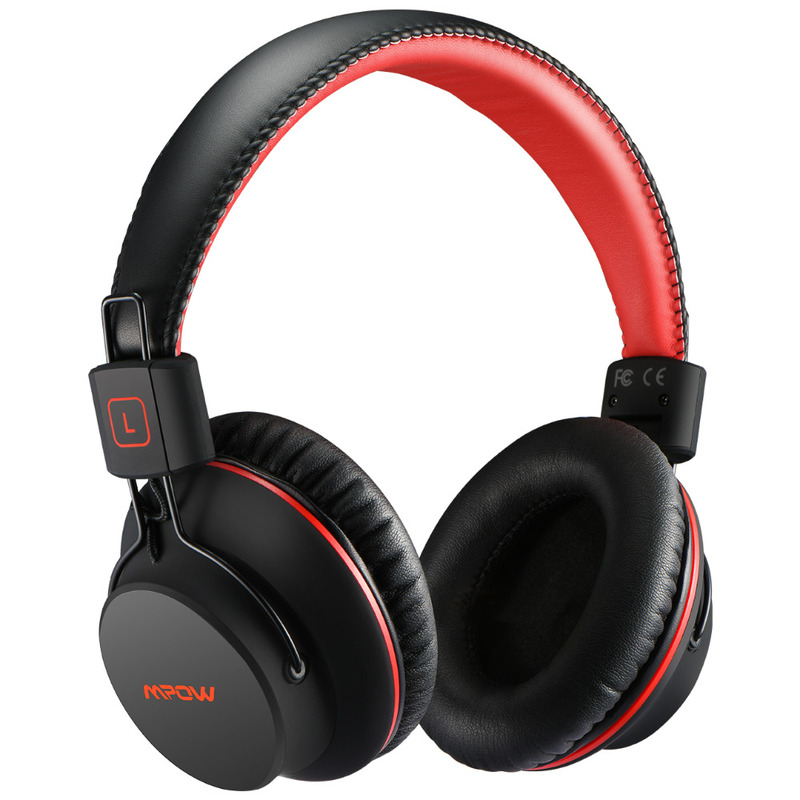 Weighs 7.5oz (212g) with smooth and soft ear pads Mpow H1 gives you burden-less wearing experience. 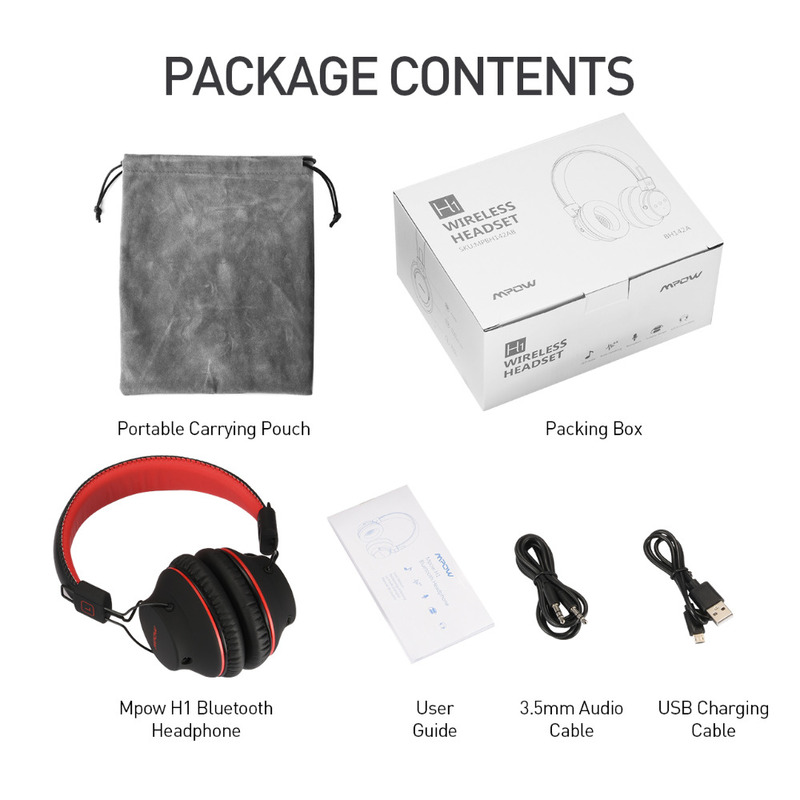 The folding mechanism and carrying bag provide maximum portability. 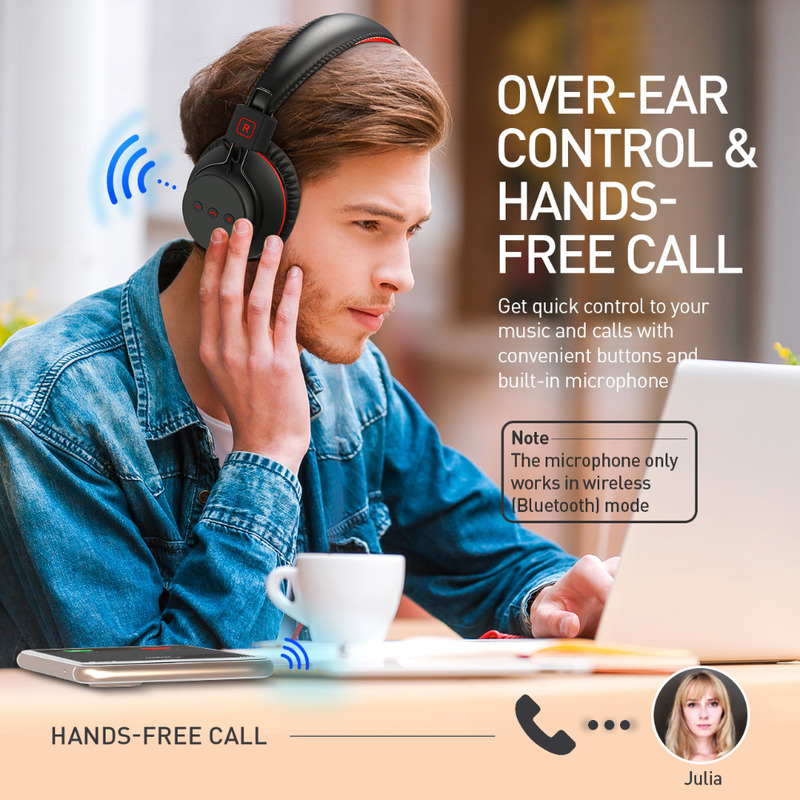 Answer/hang up phone call more freely via the buttons on the headphone and no need to worry about missing call when you are away from phone. BUT please note that the microphone only works in the Bluetooth mode. 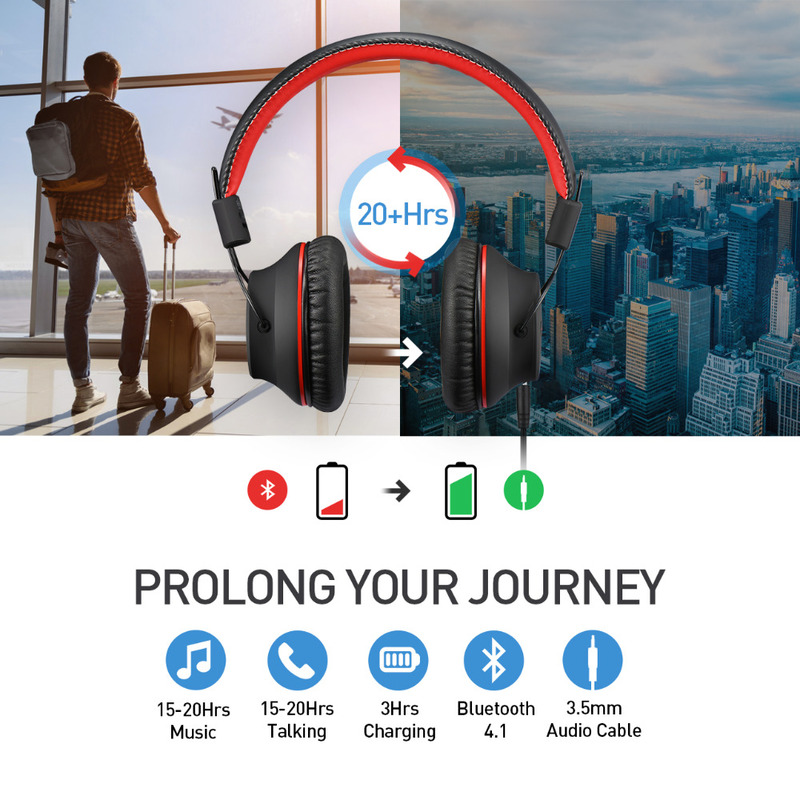 Enjoy 15-20 hours music and calling with built-in large capacity battery. 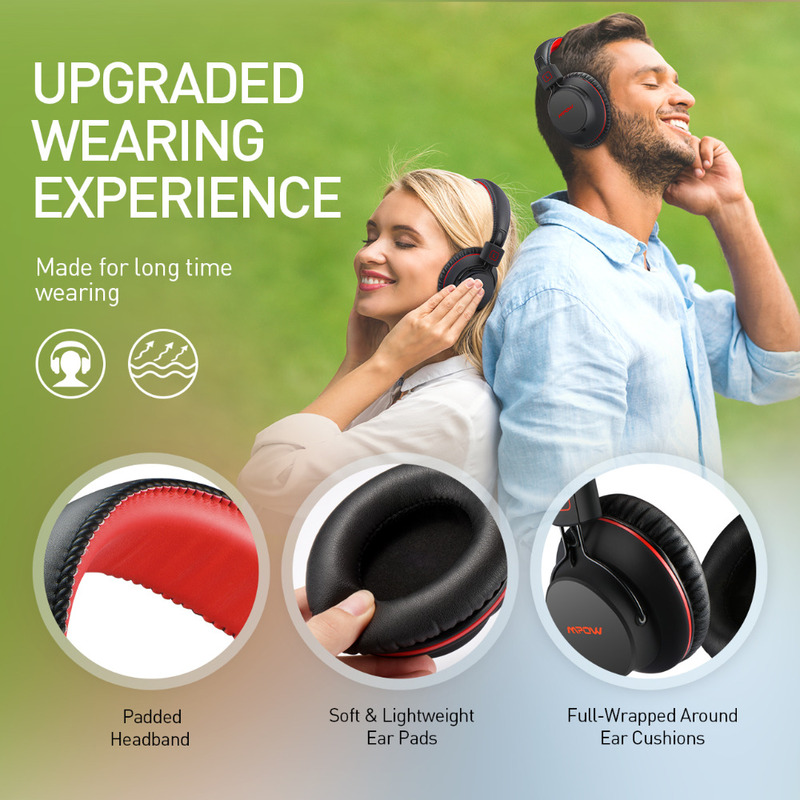 You can continue to power your headphone by using the 3.5mm audio cable to enjoy endless fun. 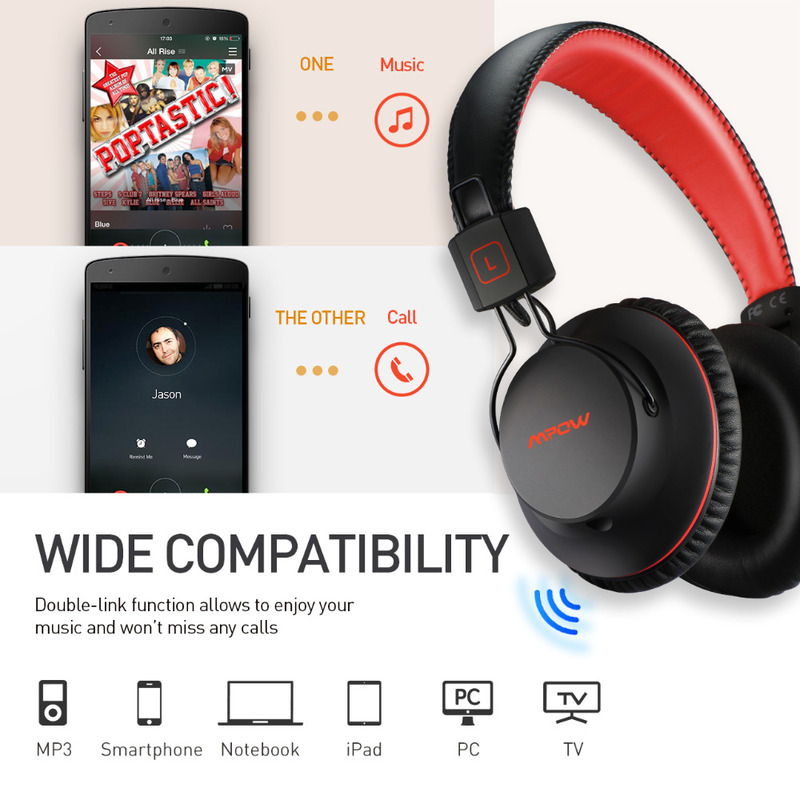 Compatible with iPhone, Android phones, iPads, Tablets, Portable Music Players, MacBook, Laptop PC, wired connection is also available by inserting the 3.5mm audio cable (included).